The University of Alabama’s Collaborative Arts Research Initiative, or CARI—which is a new research incubator dedicated to interdisciplinary, arts-focused inquiry—is announcing applications for its inaugural faculty fellowships. Applications will be open Feb. 4 through March 6, and information sessions for the fellowships will be held in January and February.  Sponsored by the Office of Academic Affairs and housed in the College of Arts and Sciences, CARI Fellowships are open to faculty from all colleges and departments interested in exploring how collaborative research across disciplines can enrich the scope and impact of their work. Four information sessions for interested faculty will be offered in January and February, each of which will include a short presentation by a prominent arts researcher, the opportunity to network with other UA faculty and detailed information about the application and selection process. Applications for inaugural CARI Faculty Fellowships can be found at www.cari.ua.edu beginning Feb. 4. CARI is led by department of theatre and dance faculty member Rebecca Salzer, with assistant director Michelle Bordner. Learn more by reading the full article on the UA news site.